A wife has been arrested after allegedly killing 15 of her in-laws in a botched bid to poison the man she had been ordered to marry in Pakistan. 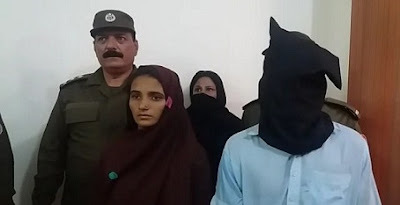 Aasia Bibi, from Muzaffargarh in the southwestern Punjab province of Pakistan, was forced to marry Amjad Akram against her will in September. 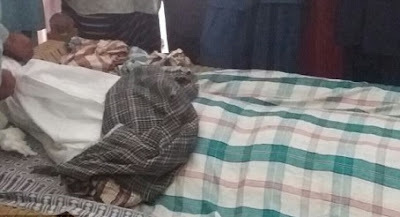 Two months into the unhappy marriage, the 21-year-old bride, who was allegedly in love with another man, hatched a plot to kill her 25-year-old husband by poisoning his glass of milk. But Amjad did not consume the drink and Aasia's mother-in-law unwittingly used the tainted liquid to make Lassi - a popular traditional yogurt-based drink in the Indian Subcontinent. This was then served to 27 of Amjad's family members who, after drinking it, started to show symptoms of poisoning. Fifteen people died in hospital because of the severe intoxication while 12 others are still critical. The incident took place in Daulat Paur area in Muzaffargarh and was reported on Sunday. A senior police officer said: 'Aasia was forced to marry Amjad against her will. 'She was not happy and came back to her parents' house after a few days into marriage but her family forcibly sent her back to her in-laws' house. 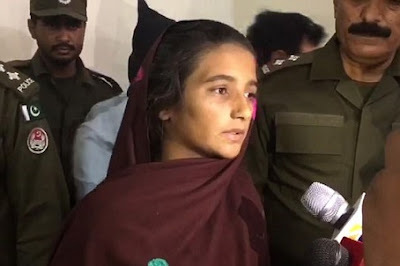 'Aasia concocted the plot to avenge being married against her will and was provided with poisonous substance by her alleged lover, Shahid Lashari. Police said that initially Aasia claimed that a lizard had fallen into the milk, poisoning it. 'But she confessed her role in the custody,' said police. Three people including Aasia's alleged lover and her aunt, who are suspected to have a role in the whole plot, have been arrested by police.